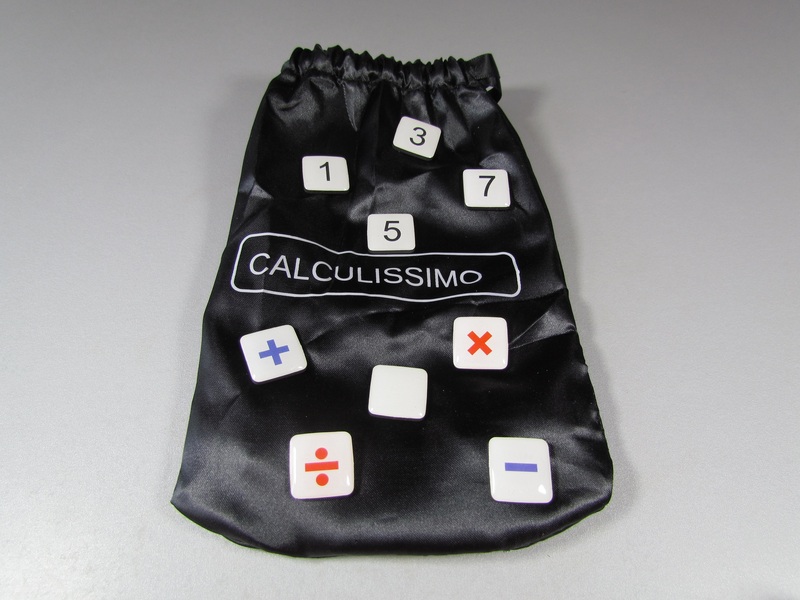 CALCULISSIMO PLUS is a more challenging edition from the CALCULISSIMO classic edition. 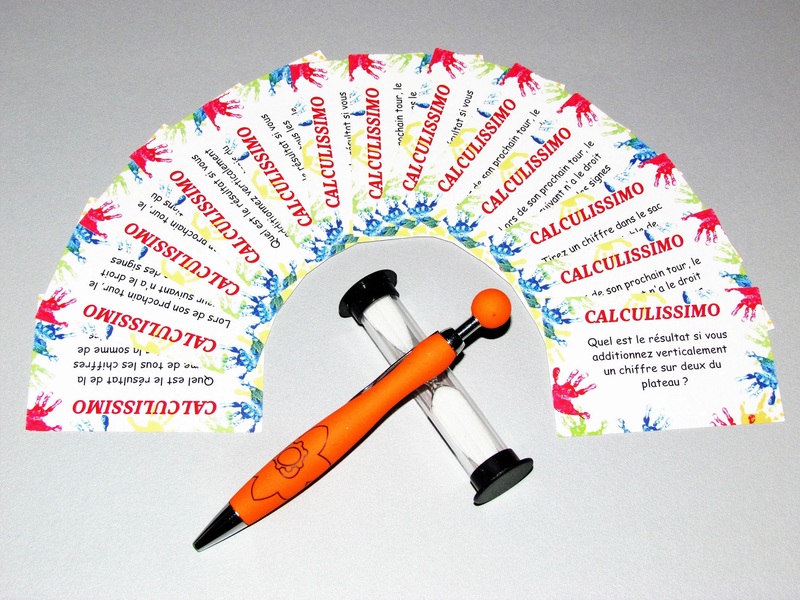 It requires additional challenge cards (available on our online shop). 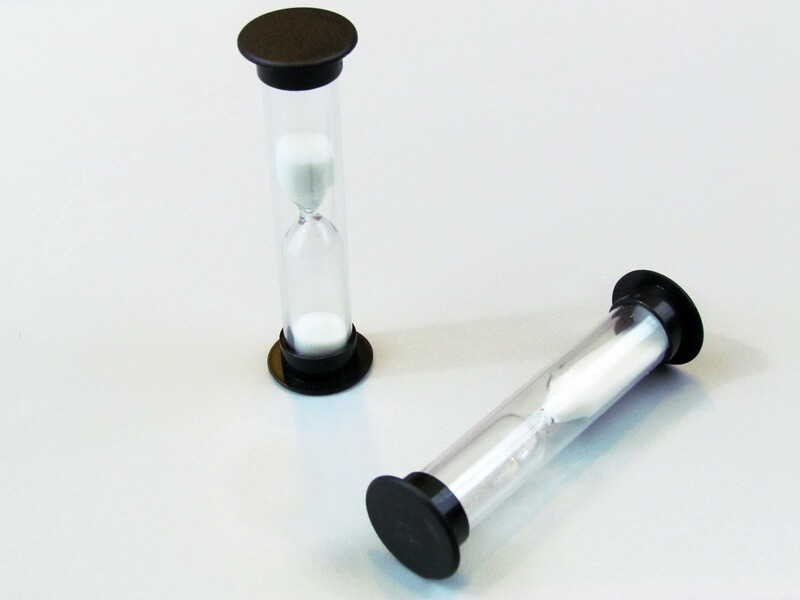 A black hourglass with white sand for an estimated time of game of 2 minutes. 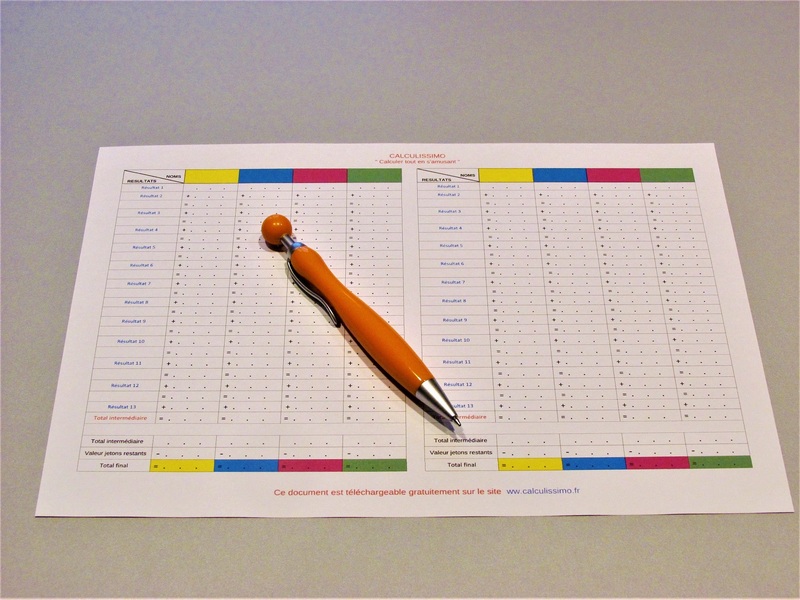 A specific score sheet for two to eight players downloadable for free. In case of loss, possibility to order one or several tokens and their wished number. 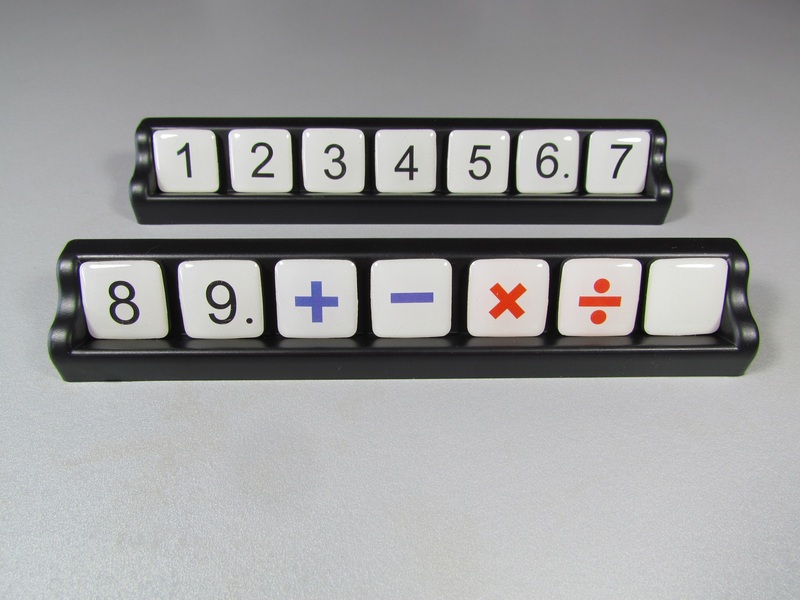 Order a set of 6 tokens of additions and substractions, to replace the multiplications and the divisions for the youngest ones. Possibility of getting one or several additional racks if you wish to play with more than 4 players.